I was asked to give the eulogy today for Art. I had a lot of friends who wanted to be there but could not so I wanted to share the tribute I gave. I will write up and post more pictures on the whole event in the next day or so. I have been accused of being naturally blabby and a bit irreverent so I guess that is why the lot fell to me for this tribute. It’s a hell of a task to write a eulogy for a feller who died even before my parents were born but it puts into perspective how important written history really is. I love history, I love to hear a good story. I enjoy nothing more than sitting under that shade of the Cotton woods with Marylyn and talking about the early days. I enjoy my memories of taking cows to the auction with grandpa and running into Dennis and Jim and eating lunch at the market grill and auction house hearing about the way it used to be out here running cattle. 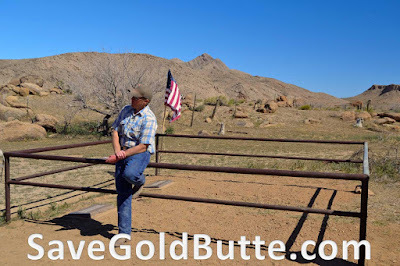 I have read and talked to everybody I could about the Gold Butte area so I feel like I have a little bit of insight on the Grand ol Men of Gold Butte. I am certainly not an authority nor claim to be but I think they needed somebody with enough hot air and BS to tell a few stories so here it is. As I have thought it over and tried to gain some insight into who Art Coleman was I came up with this: If you whittle it all down to the essentials you are left with two defining characteristics that I think sum up the long and the short of Gold Butte. The first is the value of a reliable friendship and the second is an appreciation for beautiful country. The first mention I find of Art in Nevada is in Copper City which is near Gold Butte proper. When Art arrived in Copper City the city was a group of canvas walled tents that, if I have the story right, about 9 out of ten were selling supplies consisting mainly of distilled beverages. Art set up his operation and started dry sluicing a few of the wash bottoms. He had devised a way to reuse the water to be able to run things through and make a go. However I think by the time he got there the only thing left was hard work and a few tailings piles of played out mines…so he moved on. Not finding what he had hoped for this prospector continued to ramble on down the trail. From what I can piece together Art took a little hiatus from the prospecting trade in the early 1920’s and went into a little more scandalous dealings running the Moapa Bar during the prohibition days. It might have been the constant menace of being crossways with the law that pushed Art to move on but really I think even more so, it was the call of rugged country, the solitude found in the sage and the prospect of a few good flakes that called Art back to the Gold Butte country. He setup in Jumbo Basin this time to do a little dry farming and prospecting. I would guess very little farming but possibly other endeavors that included the distilling of agricultural products such as wheat, barley or corn. The prospecting was good in the washes of this beautiful country and Art was able to find a few good nuggets that he would showcase for the weary western traveler. It was here where he teamed up with Bill Garret who had setup residence in the abandoned house, a vestige from the boom years of Copper City and Gold Butte Mining District. Garret was likewise a rambling man but whose background was in cowboying instead of prospecting. Like Art, Garret had been hither and yon but found solace in the hills, valleys and cactus of Gold Butte. Garret worked for George Hartman as a cowboy. There had been a few good wet year and feed was plentiful and the herds grew in proportion. But as we well know drought can set in too and following the late 20’s Hartman was losing to the elements, economy and a changing west. 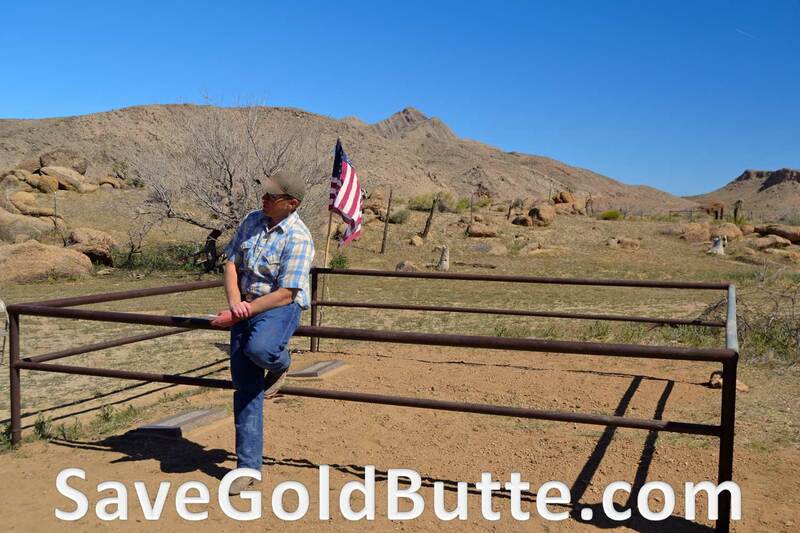 After things dried up with Hartman, Garret got what he could for payment in stock and decided to lay down some roots and setup in Gold Butte making a run at it with what he had…which he did for the next 40 years. It has been written and told by all those I have encountered that there was always an available seat for those wanting to reminisce with these ol boys and if the still was running out back a little liquid could help quench the thirst and liven and embellish any story. It is their hospitality I think that lives on foremost in the stories told of those who knew them. The boom and the bust has been a part of Nevada story since chapter one. A few good years of rain can mean enough feed to support a growing herd and a cattle ranchers dreams. But a few dry years can pull the rug right out from under the hopes of the same cattleman’s aspirations. Likewise the early whispers of the next mother lode can provoke the wandering dreamer to pack up and head for the next desolate encampment striving to strike it rich where a burgeoning city could grow overnight and playout just a quick. So what was it that pushed these two wandering men to throw in together and settle down in the rough and rugged desert? It certainly wasn’t the dreams of getting rich. What does it mean when a prospector lays down his pick and shovel and quits searching for the next big lode? I speculate it was the off chance that these two men struck up a friendship that both knew was worth its weight in gold and an appreciation for remote country that offered what no city skyline or society dinner party ever could. If you have watched the early morning sun bath these hills in natures brilliant golden pallet or watched the last color slip away from the cliffs of the Grand wash in the setting sun you need no explanation…and if you haven’t you wouldn’t get it anyways. Art passed away in 1958 at the age of 82 and Bill died in 1961 at 81. My parting thought is this, just last weekend dad and I sat at the base of Grand Gulch Canyon where it dumps into Grand Wash. This particular spot offers a unique perspective that provides perception into the grandeur and enormity of this rugged country. From this vantage you are looking across the Grand Wash with Tramp Ridge pointing through to the St Thomas gap covering thousands of acres of brush and cactus. As we sat at the base of the Grand Wash cliffs I asked dad how the hell the early pioneers and prospectors covered such rugged country atop a horse, hell it was beating me up on our four-wheeler with full independent suspension. It got me thinking about what we miss as the speed of life increases to the point where we can cover in a day in a jeep in this country what would take weeks sitting astride horse. What are we missing because our perspective is at such a faster pace? Are we gaining any more insights on the meaning of life or more wisdom or just covering more territory? Maybe these ol boys had it figured out. Beautiful country and a good friend to share it with in the end when measured and weighed in the balance adds up to the most.